I recently looked at my old sketchbooks from when I was in my late teens and early 20’s. It was nostalgic in the best way. I’m trying to tap back into the mindset I had back then when I made these books all the time. For th e fun of it. No worries or expectations. This time I’m trying to use my new style and techniques, in the hopes of making a more interesting experience. 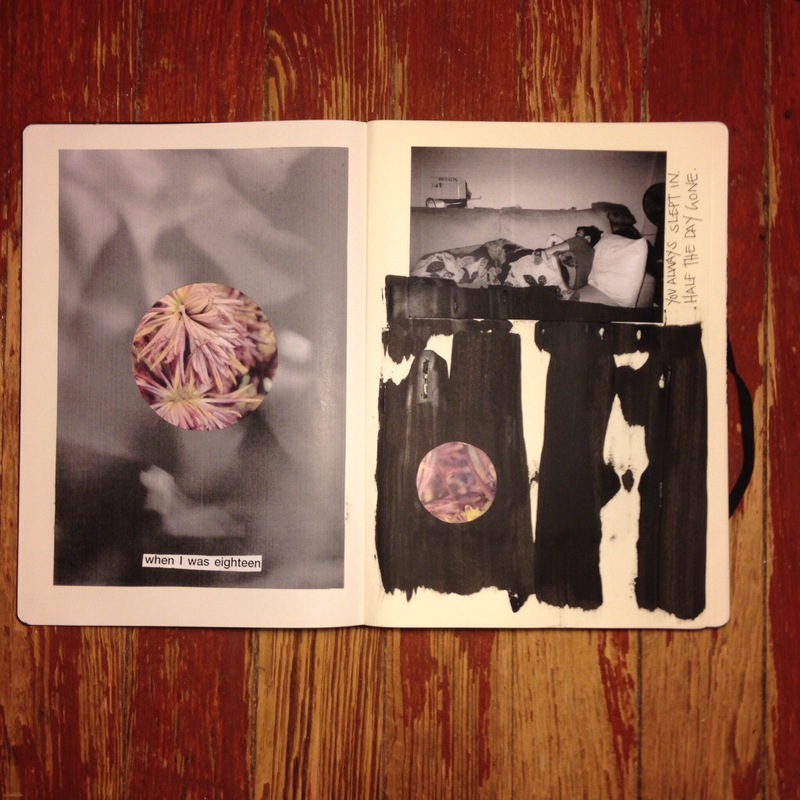 Posted on April 30, 2014 by jackal1979	This entry was tagged art, collage, Justin Wainio, moleskine, paint, sketchbook. Bookmark the permalink.